Do you ever find yourself drawing something and not really knowing what it's about? For me it started with the middle character. His piggy look made me think of the movie Dune (obvious connection, right!? 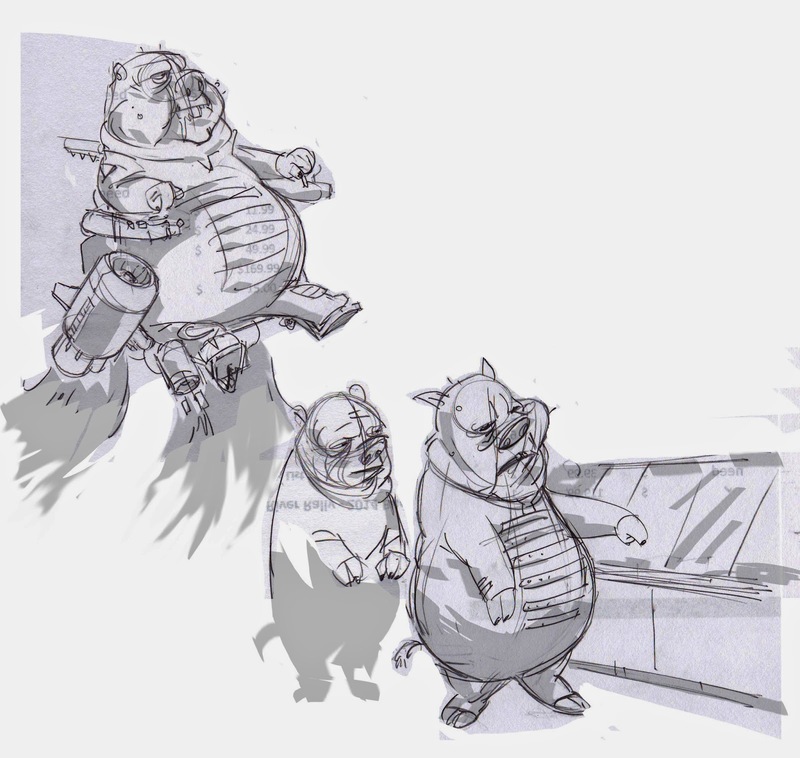 ), which led to draw the pig on the right perhaps choosing toppings for his submarine sandwhich, and that led to the Baron pig in his flying chair. How about an animated version of Frank Herbert book featuring pig-like bad guys in those super cool leather get-ups like they had in the movie? Now that I look at it, perhaps they just nabbed the middle pig (he could be in hand-cuffs), and they all decided to stop in at the local Subway for a bite, before feeding him to the worms and presto, story created.